. 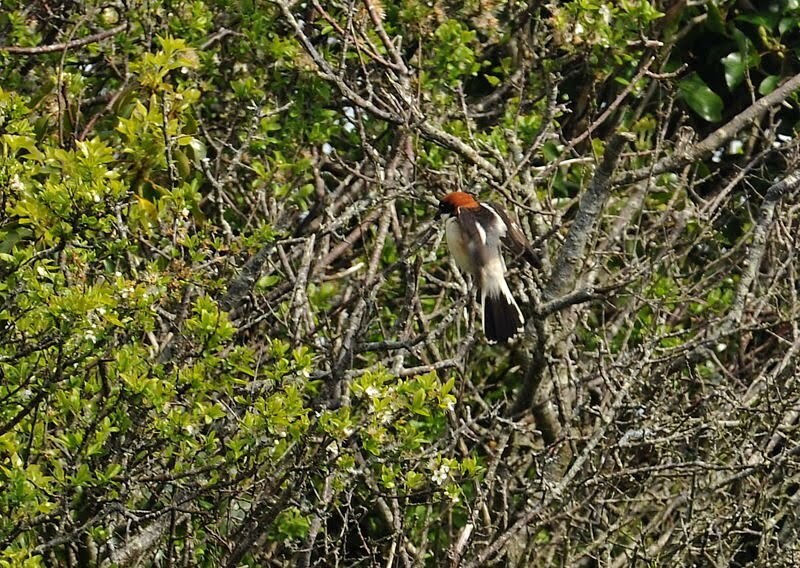 : First Summer male Woodchat at Skewjack, Land's End. 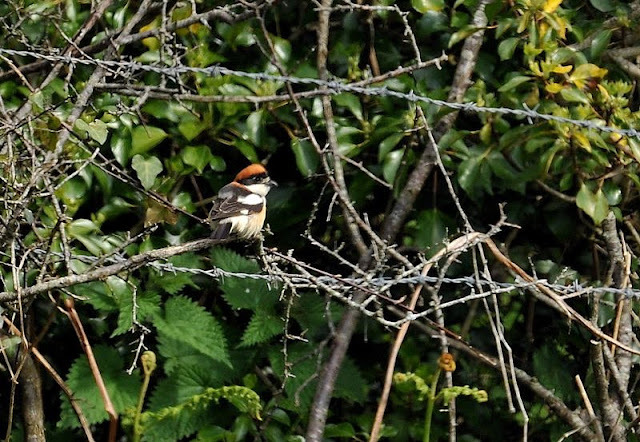 First Summer male Woodchat at Skewjack, Land's End. 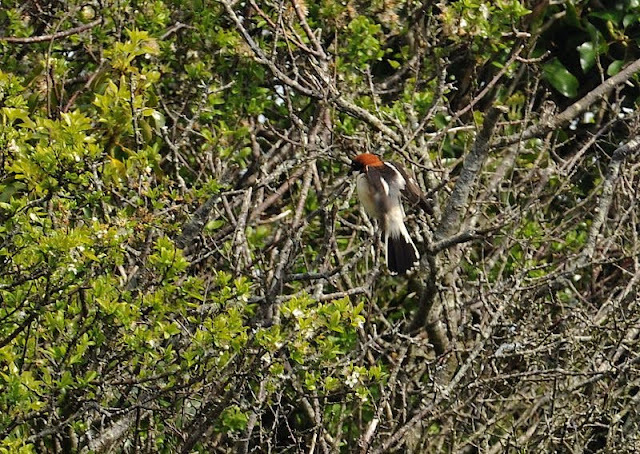 This long distance shot of the long-staying Woodchat Shrike at Skewjack was taken on Saturday. The bird can be aged as a first summer by the brownish cast to the primaries and grey areas in the mantle. A full adult would show a black mantle and black primaries. 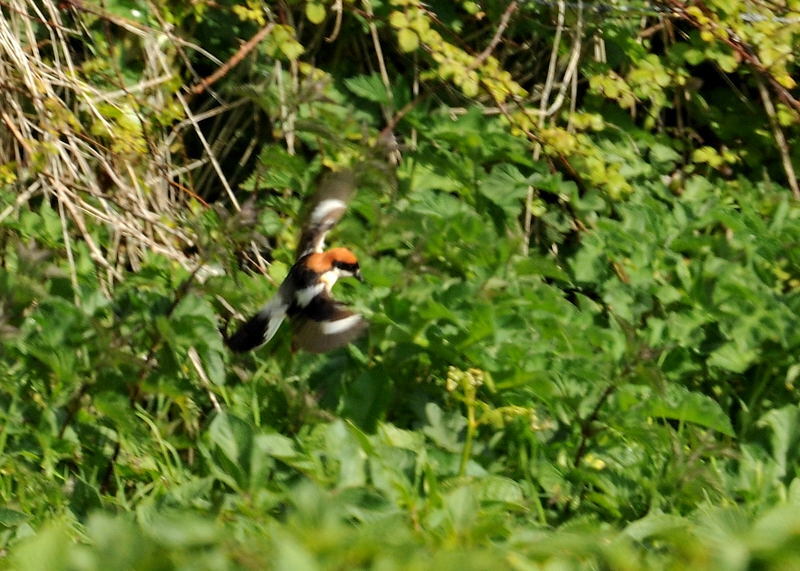 Might be distant shots but there is plenty of detail, so no mistaking the bird ID. Just wanted to say a big Thank You for presenting a great 'slide show' at Stithians last week. I thoroughly enjoyed your informative talk and of course your bird photographs were excellent.